Exclusive! 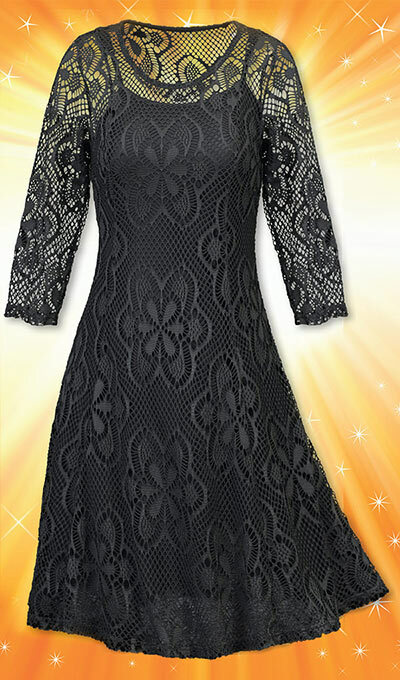 Our Little Black Dress is lovely in lace! This simply stunning classic is smoothly fitted through the bodice and waist, flaring into a short, flirty skirt. Pullover style, scoop neckline, three-quarter sleeves in polyester/spandex with cotton/polyester lining. Machine wash. Imported. Misses, approx. 38"l. Hurry! Quantities are limited! This dress is true to size and totally beautiful on. Wished that the "slip" would come in more colors.